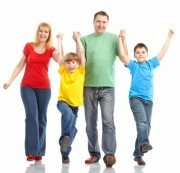 Healthy Eating Importance: Why Healthy Recipes for Kids? Recipes for Kids, Healthy Eating for Toddlers? Healthy eating importance, and why make SMALL changes NOW? Researchers continue to find that kids have the worst diets! 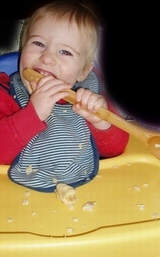 So start healthy eating for toddlers now, and get easy healthy recipes for kids to get the best habits. Start with small changes NOW. Why? Researchers find that even making small changes can make a big difference in avoiding disease and living longer -- and well being! How much longer would you live if you followed these basics? Researchers studied 20,000 men and women ages 45 to 79, for 10 years. They were in good health at the start of the study. Ten years later there was a big difference in the death rate between people who adhered to the four basics -- they lived on average, 14 years longer! Children are being let down by parents who are feeding them too much unhealthy hydrogenated oils, sugar and salt and not enough fruits and vegetables, say other researchers in the US and Britain. "Government report, Food: An Analysis of the Issues." "Children's diets are proportionally worse than adults and the future of children's health is of particular concern." 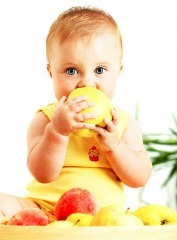 What's the problem with healthy eating for toddlers and kids? Kay Tee Khaw, the lead researcher of the British study, says that although people have a some notions of healthy eating importance, they think they need to make big changes, so they do nothing. But the truth is that even small differences can have a big impact on health. Simply by cutting out trans fats, heart disease rates would drop by 50%, and getting kids started early makes all the difference. 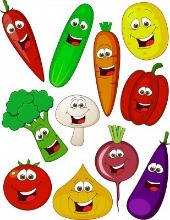 An apple and a few veggies a day still keeps the doctor away! Spanish researchers decided to find out how simple nutrition helps heart health. They asked 24 volunteers to eat a salami and cheese sandwich on white bread followed with high fat yogurt. Then they gave half the volunteers five teaspoons of olive oil, and the other half eight shelled walnuts. 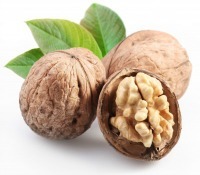 The healthy eating importance of both olive oil and of walnuts are that they both have beneficial effects on the arteries after a high fat meal, but walnuts are better. How? Just by adding either of these two foods, they reduced the inflammation and oxidation that causes coronary heart disease. Scientists are stressing healthy eating importance for both young and old. Some kids already have heart disease and "adult onset" diabetes before they are 10 years old, so that scientists are predicting a shorter life span than their parents for this younger generation. We hope that you have been inspired for healthy eating for toddlers with quick and easy snacks as healthy recipes for kids. walnuts and apples (sprinkled with cinnamon if cut up) and in season fruits, cucumbers and carrots as snacks help form new habits and taste preferences.